The Oliver Chaise Lounge by Precedent knows what you need to relax. Wide and plush with gently rounded arms and the right combination of pillows to support you, this chaise lounge offers a big dose of comfort wherever he goes. Settle in your bedroom suite, den or living room in this custom furniture that oozes contemporary style. 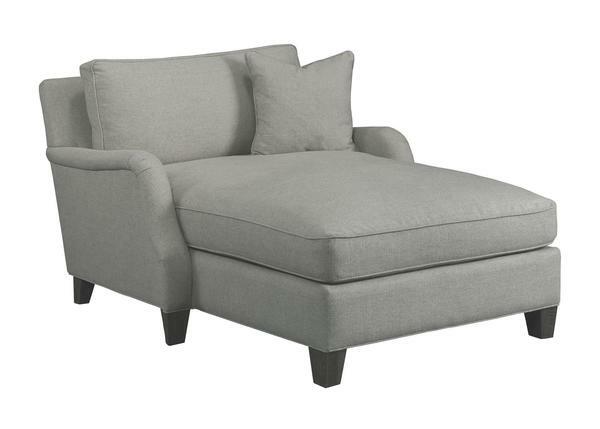 For TV, reading, napping, or settling down next to the couch with a dear friend, the Oliver Chaise Lounge is a seat that once you relax on it, you know you'll be there awhile. The Oliver Chaise Lounge is part of the Precedent Modern Living Room Collection and combines quality materials, maximum comfort and the latest contemporary styles. See what Precedent has to offer in these videos highlighting their living room furniture. At DutchCrafters, we take great pride in assisting you with your custom furniture purchase. Contact us with any questions and we'll be sure to provide you with what you need. Our team can be reached via email or phone.